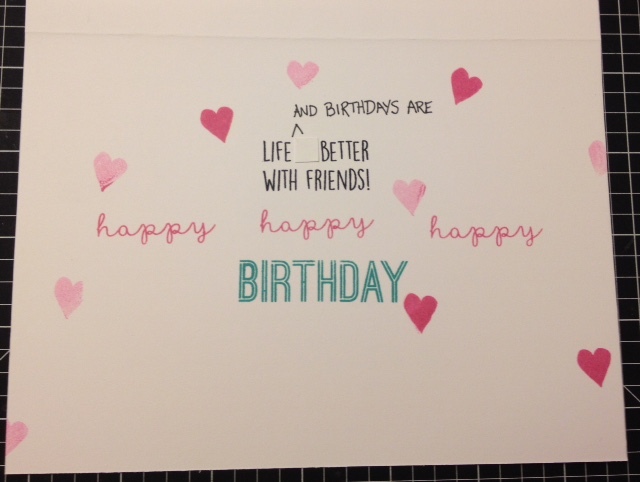 I am sharing a birthday card made with X7210B Calypso Background Paper and Picture My Life Cards. 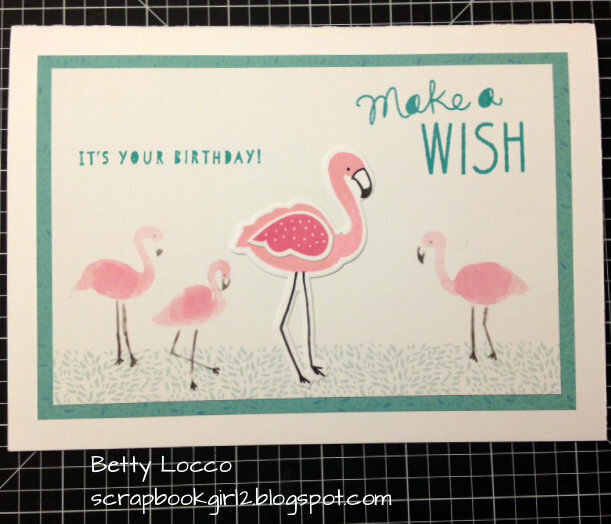 The cards, which can also be used for pocket scrapbooking, are now included with each paper packet. It is a 5 x 7 size card. The three small flamingos are on the PML card and the larger one was cut and stamped with C1651 Tickled Pink stamp set. The products (Except the Kaleidoscope WS which is retired) used are all available until August 31.